This month, we're determined to help you catch more z's. We've partnered with Equinox to build a sleep challenge guaranteed to help you feel more well-rested by October's end. Each week, we'll tackle one science-backed strategy to help you work toward getting more quality sleep. Last week was all about assessing your current habits via a sleep log. Next up, we talk about what might be the most important change to make for better sleep, according to science. I am a morning person to a fault; the kind of crazy individual who truly relishes waking up at 7 o'clock on a Saturday morning and taking a walk as the rest of the neighborhood is barely stirring. I have fallen so deeply into the habit of rising at this precise hour seven days a week that I rarely need to use an alarm anymore. Even on nights when I only log some fitful sleep, my eyes still flutter open a few minutes before 7. Therein lies the problem: While my consistent wake time is a positive habit that works very well for my lifestyle, my bedtimes are historically all over the place. However, science tells us that regimenting both our sleep and wake times is the key to regular, quality sleep. In other words, consistency breeds consistency. This logic was a huge cornerstone of my 12-week sleep training program at Equinox over the summer. After logging my sleep for a week and noting that I was tucking myself in anywhere from 10 p.m. to 1:30 a.m. on the weekends, my trainer, Ken Laing, advised that I start focusing on narrowing that window to an hour, tops. 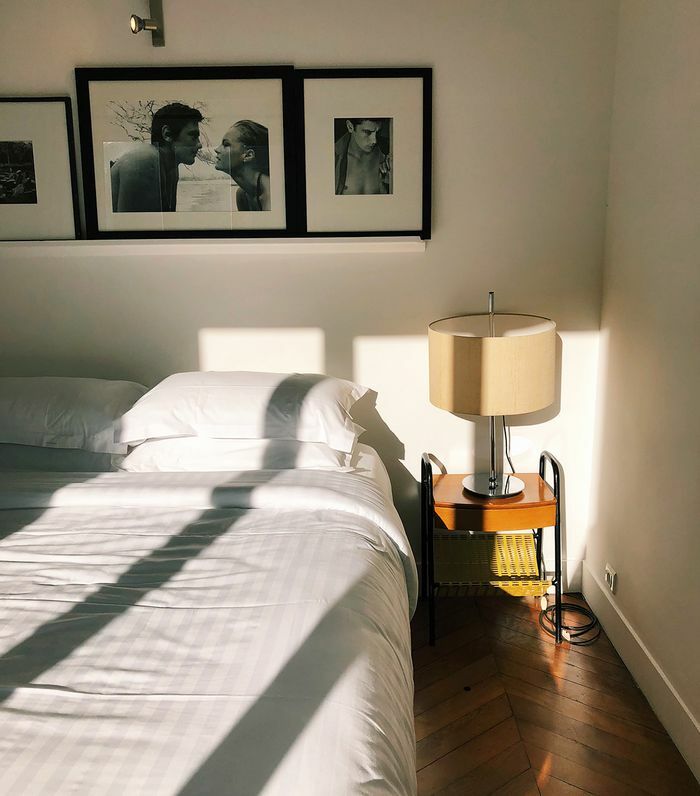 After deciding that going to bed anywhere from 11 to midnight—give or take a few minutes—would be ideal for my target of seven and a half hours of sleep, I began aiming to fall asleep during that time seven days a week. Just as Laing predicted, this change alone yielded drastic improvement in my sleep quality, namely that I was sleeping through the night after just a few days. Keep reading to learn why establishing consistent sleep and wake times might be the most crucial habit to master. Your body abides by a 24-hour cycle called a circadian rhythm, an adaptive mechanism that basically tells us when to sleep and eat by way of hormone production. For example, melatonin—the hormone responsible for sound sleep—kicks into overdrive every night, making us sleepy. Those production levels taper off in the morning, helping us wake up. This is all regulated in part by our circadian rhythm. Scientists have learned that keeping this "clock" regular is crucial in feeling our very best. Our hormones are key to physiological balance, which is why when our sleep is thrown off, we can feel it everywhere from our mood to our digestion and even our skin. Establishing regular meal times and even exercising at the same time every day can help ensure that our circadian rhythm is in check. But trying to go to bed and wake up at the same times—ideally, seven days a week—is probably the most crucial. Better yet, doing this is probably the easiest way to make sure you actually feel tired at night and alert in the morning. Regular sleep and wake times, says Laing, "helps to align your body's natural sleep drive with your intended time to sleep." Here's the kicker: This consistency might even be more important than getting your requisite eight hours. In a 2015 study, scientists found that shifting mice from a regular bedtime caused them to get poorer quality sleep, even though the amount of time they slept didn't change. This all but proves that picking a regular bed and wake time just might be the most important thing you can do to catch better z's. Here's the good news: Our internal clock is a little forgiving. "We have about a one-hour window of flexibility," says Laing. "Beyond that, our sleep drive and wake drive get out of synch and we end up tired when we need to be awake and alert and awake when it's time to sleep." It's simple: Count back your ideal sleep time from your ideal wake-up time, add a half-hour before and after, and that's your ideal sleep window. I'll use myself as an example. My ideal sleep time is seven and a half hours, so I aim to fall asleep between 11 and midnight every night. On those inevitable nights (here's looking at you, Saturday) when you don't necessarily get to bed in your window, there are a few things you can do to hit the reset button on your internal clock so that you aren't thrown off for days on end. First and foremost, Laing says, be sure to maintain some consistency with all the other elements of your life that play a role in sleep quality: meal times and exercise, for example, and certainly the time you wake up. If you're struggling to get out of bed after a late night, try opening your curtains—as painful as it might seem. "Light exposure can help increase alertness," he says. When nighttime comes around again, simply get back to that good habit. Diffuse some essential oils, hunker down with a good book, and aim to doze off at your set bedtime. Next up: These six foods are the reason you can't sleep, according to a nutritionist.